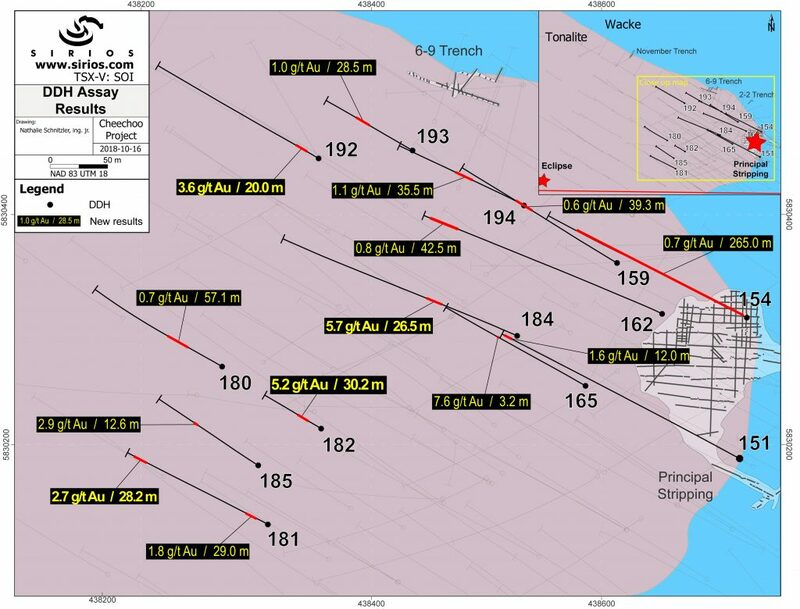 • 1.1 g/t Au over 35.5 m in drill hole #194. These thirteen drill holes are part of the larger drill program that will complete the 50 m-drill hole grid pattern of the Main Area, where the current dimensions are approximately 500 m by 500 m. In addition to demonstrating the continuity of the larger auriferous halo, pluri-metric high-grade gold intersections are continuously being intersected within the halo. 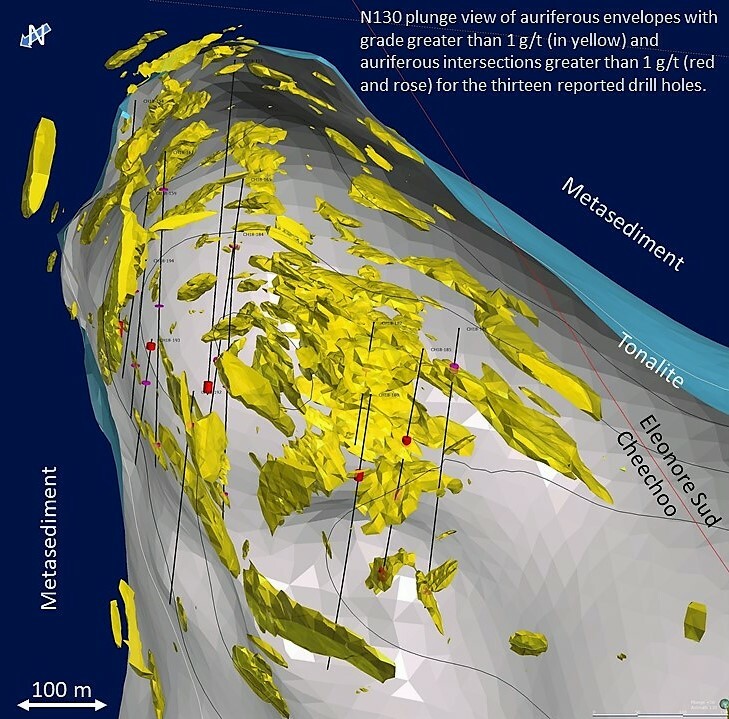 The figure below shows the extent of the auriferous envelopes with grades greater than 1 g/t (in yellow), mainly within the limits of the tonalite and interpreted dome structure. Auriferous intersections greater than 1 g/t for the thirteen reported drill holes are also presented as red and pink intervals. Assay results are still pending for 9 drill holes out of 58 holes, totalling 15,720 metres completed in 2018. Jordi Turcotte, MSc., Geo., and Nicole Gauthier, MSc., Geo, Qualified Persons pursuant to National Instrument 43-101, have prepared and verified the technical information of this press release, as well as reviewing the final text.